Ladies, what better way to start the week off than with a gorgeous rosy blush? Exactly..there's no better way. 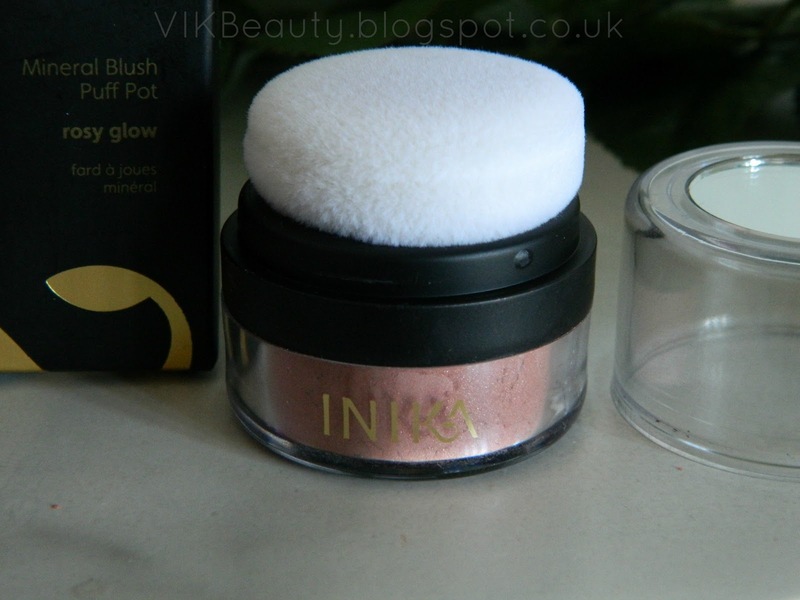 One of the blushes I'm enjoying wearing at the moment is this blush from INIKA Cosmetics; "Rosy Glow" (*). 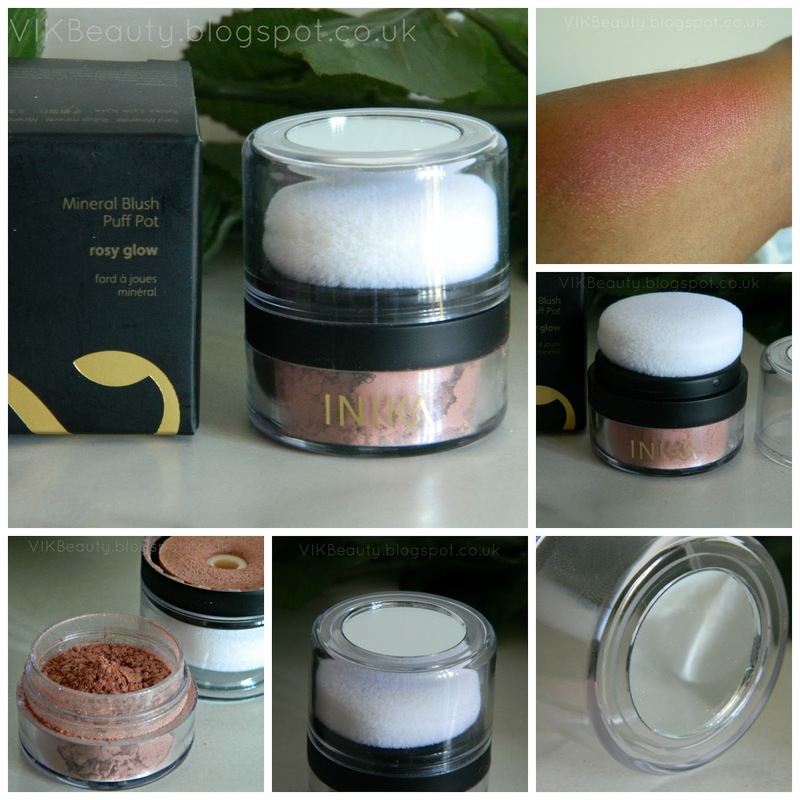 I have reviewed a number of products from INIKA on my blog before, so it's definitely worth having a look through some of those posts if you're interested in the brand (click here). INIKA are luxury natural cosmetics brand. All INIKA products are Vegan, Certified Halal and Certified Cruelty Free. Rosy Glow is described as a "neutral pink/mauve shade". I think it is a lovely warm pink shade. In the pictures below, it almost looks like a pale salmon pinky shade. 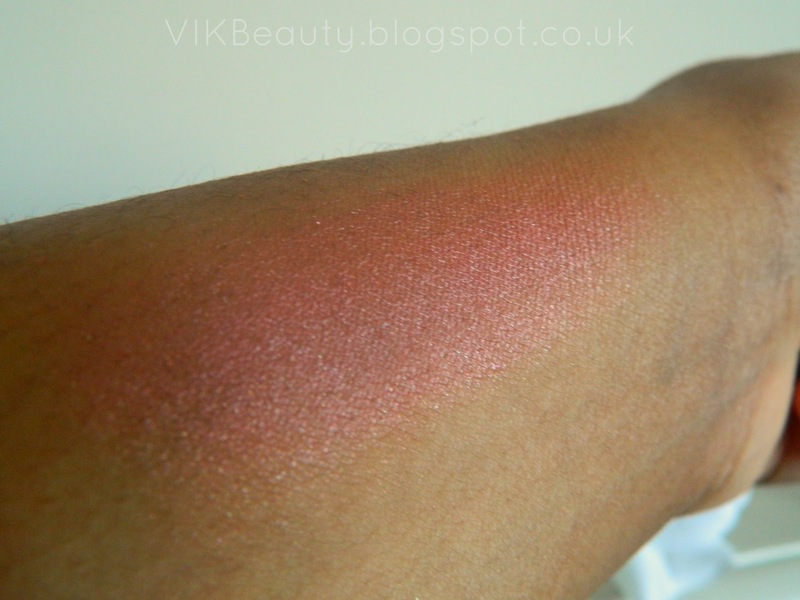 However, as you can see on the swatch on my arm, once applied, it appears more rosy. I think it's a really pretty shade. 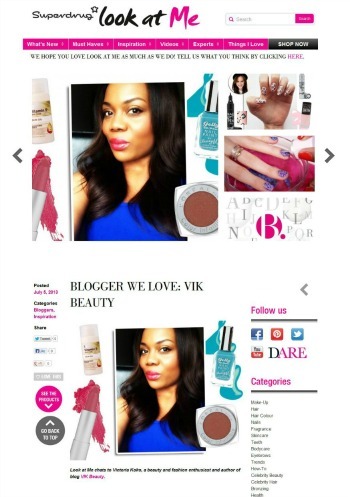 INIKA mention that it can be used for all skin tones. I agree, I think it could work for all skin tones as it is quite neutral. 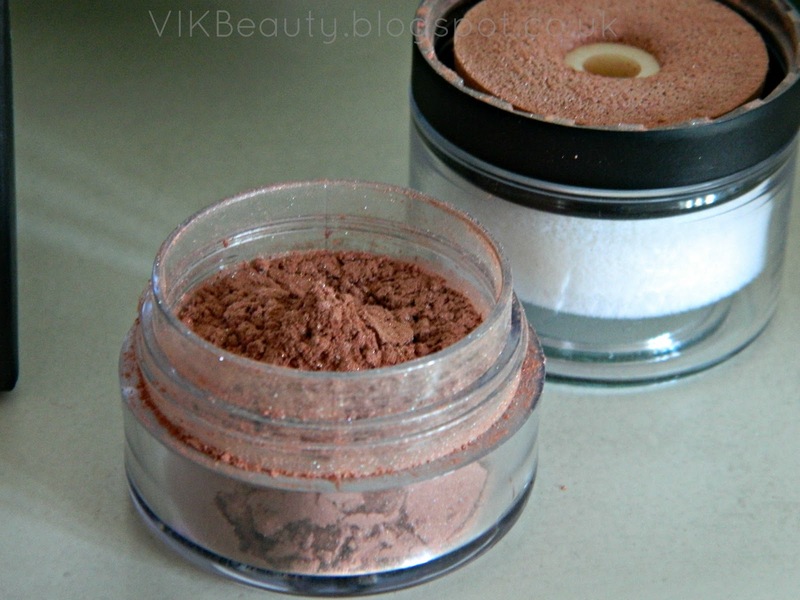 Rosy Glow is a mineral blush with a strong pigment. I enjoy putting it on as it's really soft and smooth. Have I mentioned that it's a puff pot? You don't meed a brush or a mirror, it's already provided. 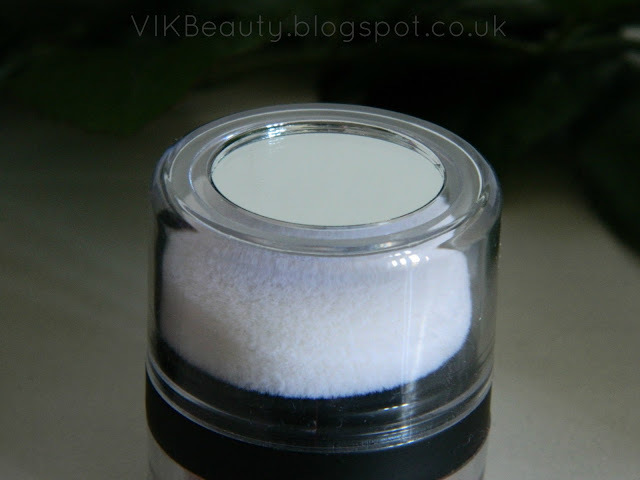 To use the puff pot, you simply turn the puff pot upside down and tap it until blush appears on the puff pad. Et voila, you're ready to use it. This pot is great for makeup on the go. The blush lasted pretty much all day. Although I do generally touch up my makeup during the day, I found that I didn't have to reapply it until much later in the day. As mentioned earlier, I've enjoyed using this blush. However, the only thing I would change really would be to make the puff pad removeable. That way, you're able to wash it, just like you would wash your makeup brush to prevent any bacteria. 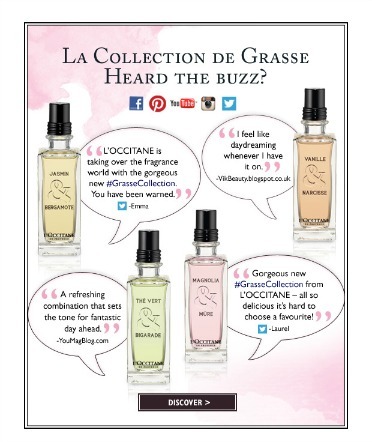 Rosy Glow retails at £17 for 3g. Now it is pricey for a blush, but then again it is a luxury natural brand. You can pick this up online (click here) or at John Lewis if you're in London. What do you think of this blush? 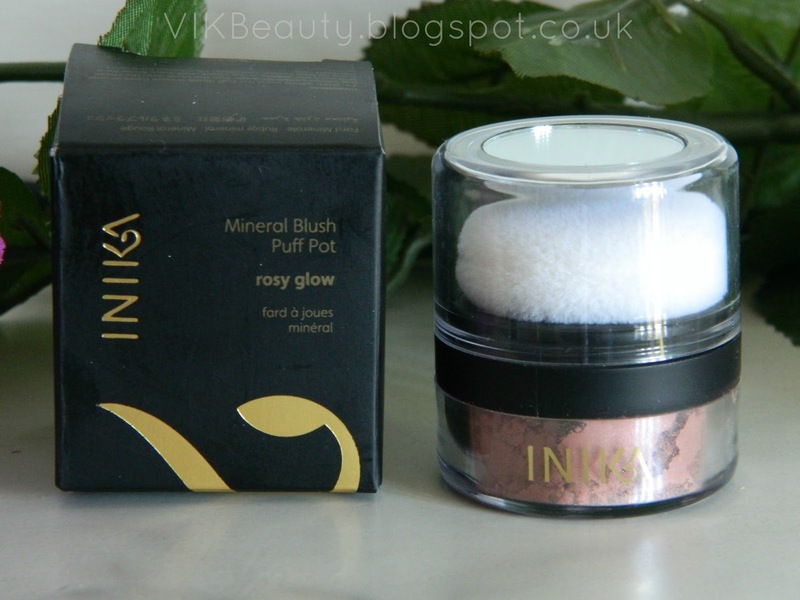 Have you tried any products from INIKA? Oooh that *does* look pretty. That's so weird that you can't remove the puff, I wonder why they did that. The colour is absolutely gorgeous, it's such a nice warm colour! Thanks for sharing. Do they offer shipping in india ?? That looks bus proof in the morning but not being able to wash the puff puts me right off! This info iѕ wогth everyone's attention. Where can I find out more?